Hang on, is that Charmander? No, is it Charmeleon? No, it's Charizard! There's no need to Pokémon GO anywhere when you've got a Charizard costume to put on. Even if Charizard's fire doesn't keep you warm, those sleeves and hood sure will. This has got to be the big new thing in Pokémon. Pokémon GO is soooo last month. Walking around with your phone, trying to find images of little creatures to throw your virtual pokéballs at? Who needs it. All the cool kids today are playing Pokémon LIFE! Why hunt Pokémon when you can be a Pokémon. That's right, none of this pretend stuff. 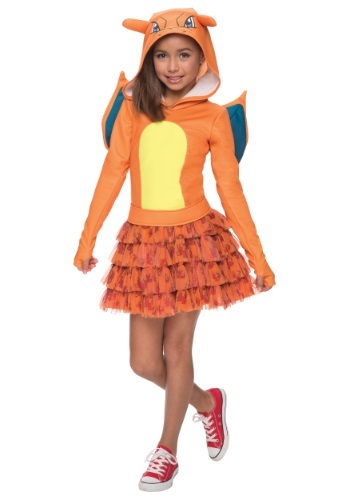 Now put on this costume and watch the world around you come to life as one big Pokémon gym. See if your trainer can help you defeat other Pokémon as you grow stronger and stronger. Pikachu? More like Pika-choose someone else. Squirtle? You stomped that little hurdle. Jiggly Puff? Jiggly had enough (Maybe work on your trash talk)! As Charizard you'll rule the Pokémon land and the Pokémon skies. Okay, Pokémon LIFE may not actually be a game... yet! Maybe someday it will be. 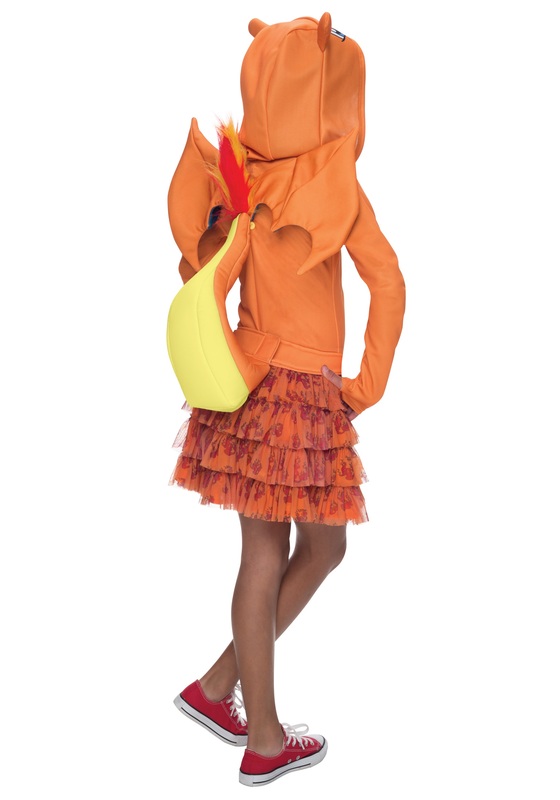 If enough people get Pokémon costumes like this one, it definitely will be. Who are we kidding? It probably already is a game somewhere in the world. Like LARPing. Live Action Real Pokémon (Okay, also not a real thing). But we do know that everyone loves Charizard. He's basically a giant fire-breathing dragon. And this costume is both cool enough for a party but practical enough for every day wear. And it's bright orange! What better color to make sure you always know where your kid is. Just look for the Charizard!